Decisionmaking for the future depends on anticipating change. And this anticipation is becoming increasingly difficult, thus creating anxiety when we seek to conform short-term decisions to long-term objectives or to prepare for rare events. Decisionmakers, and the analysts upon whom they rely, have had good reason to feel decreasing confidence in their ability to anticipate correctly future technological, economic, and social developments, future changes in the system they are trying to improve, or the multiplicity and time-varying preferences of stakeholders regarding the system’s outcomes. Consider, for example, decisionmaking related to the consequences of climate change, the future demand for and means for providing mobility, the planning of mega-scale infrastructure projects, the selection of energy sources to rely on in the future, the role of genomics in health care, or how cities will develop. Or think of rare events like a natural disaster, a financial crisis, or a terrorist attack. Decisionmaking for the future depends on anticipating change. And this anticipation is becoming increasingly difficult, thus creating anxiety when we seek to conform short-term decisions to long-term objectives or to prepare for rare events. Decisionmakers, and the analysts upon whom they rely, have had good reason to feel decreasing confidence in their ability to anticipate correctly future technological, economic, and social developments, future changes in the system they are trying to improve, or the multiplicity and time-varying preferences of stakeholders regarding the system’s outcomes. Consider, for example, decisionmaking related to the consequences of climate change, the future demand for and means for providing mobility, the planning of mega-scale infrastructure projects, the selection of energy sources to rely on in the future, the role of genomics in healthcare, or how cities will develop. Or think of rare events like a natural disaster, a financial crisis, or a terrorist attack. These topics are all characterized by what can be called “deep uncertainty.” In these situations, the experts do not know or the parties to a decision cannot agree upon (i) the external context of the system, (ii) how the system works and its boundaries, and/or (iii) the outcomes of interest from the system and/or their relative importance (Lempert et al. 2003). Deep uncertainty also arises from actions taken over time in response to unpredictable evolving situations (Haasnoot et al. 2013). In a broad sense, uncertainty (whether deep or not) may be defined simply as limited knowledge about future, past, or current events (Walker et al. 2013). With respect to decisionmaking, uncertainty refers to the gap between available knowledge and the knowledge decisionmakers would need in order to make the best policy choice. This uncertainty clearly involves subjectivity, since it relates to satisfaction with existing knowledge, which is colored by the underlying values and perspectives of the decisionmaker (and the various actors involved in the decisionmaking process). But this in itself becomes a trap when implicit assumptions are left unexamined or unquestioned. Uncertainty can be associated with all aspects of a problem of interest (e.g., the system comprising the decision domain, the world outside the system, the outcomes from the system, and the importance stakeholders place on the various outcomes from the system). The policies that should be implemented to mitigate and/or hedge against the adverse consequences of climate change (because of a lack of knowledge about the costs and benefits of different alternatives for protecting ourselves from the adverse consequences of climate change). The financial crisis that gripped the world in 2008–2009 is perhaps the most recent acute example of why acknowledging and confronting deep uncertainty are of great importance. The speed and the severity of the decline in world economies were unprecedented in recent times, but it surprised policymakers who were unprepared when it arrived. As Alan Greenspan admitted in October 2008, “I found a flaw in the model that I perceived is the critical functioning structure that defines how the world works.… I was shocked, because I had been going for 40 years or more with very considerable evidence that it was working exceptionally well.” (Hearing Before the Committee on Oversight and Government Reform 2008, p. 46). Hence, for long-term decisionmaking, deep uncertainties are in most cases a given. Whether to take them into consideration in making a decision is a choice. Decisionmaking, even under the most favorable circumstances, is made difficult enough by budget constraints, conflicting stakes, and political turmoil. So, every reduction in uncertainty is more than welcome; ignoring deep uncertainty is attractive. But decisions that ignore deep uncertainty ignore reality. Substituting assumptions for deep uncertainties might simplify choices in the short term but may come at a much higher price in the longer term. Some would say that it is impossible to make good decisions in the face of deep uncertainty. However, the good news is that recent years have seen the birth and proliferation of ways to include a systematic consideration of deep uncertainty in practical decisionmaking. Many are described in this book. The experience derived from the application of different approaches and tools in a range of policy fields may enable analysts, planners, and the decisionmakers whom they support to come to better recognize, confront, and operate effectively given the deep uncertainties present in their own worlds. Given a problem, decisionmaking requires an integrated and holistic view of various alternatives, their possible consequences, and conditions (including acceptability, legislation, and institutions) for implementation. Alternatives are the means by which it may be possible to achieve the objectives. Depending on the problem, the alternatives may be policies, strategies, plans, designs, actions, or whatever it appears might attain the objective (Miser and Quade 1985).2 Walker (2000) views decisionmaking as choosing among alternatives in order to change system outcomes in a desired way (see Fig. 1.2). It involves the specification of policies (P) to influence the behavior of the system to achieve the goals. At the heart of this view is the system that decisionmakers influence directly by their means, distinguishing the system’s physical and human elements and their mutual interactions. The results of these interactions (the system outputs) are called outcomes of interest (O). They are considered relevant criteria for the evaluation of policies. The valuation of outcomes refers to the (relative) weights, not necessarily quantitative, given to the outcomes by crucial stakeholders, including decisionmakers (W). 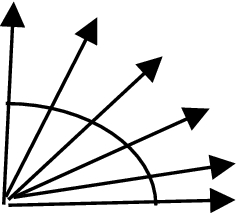 Other external forces (X) act upon the system along with the policies. Both may affect the relationship among elements of the system (R) and hence the structure of the system itself, as well as the outcomes of interest to decisionmakers and other stakeholders. External forces refer to forces outside the system that are not controllable by the decisionmaker, but may influence the system significantly (e.g., technological developments, societal developments, economic developments, political developments).3 Of course, there are uncontrollable autonomous developments inside the system that also may influence the outcomes of interest (i.e., emergent or self-organizing behavior). Applying the framework shown in Fig. 1.2 to decisionmaking under uncertainty reveals several locations where uncertainties might arise. First, there is likely to be scenario uncertainty, since it is difficult to identify which external developments will be relevant for long-term future system performance and, perhaps more important, the size and direction of these changes. Second, even if external developments were certain (that is, we knew how the external world would develop), there might still be structural uncertainty about how the system would respond to those external developments (and about the autonomous developments inside the system). The causal mechanisms determining system performance may also be uncertain (i.e., many of the interactions within the system might be insufficiently known) or there may be clashing hypotheses of causation. Finally, the valuation of the various outcomes might be subject to contention. Stakeholders often differ on the importance of future problems and the objectives to be achieved with a plan. This results in different, often conflicting, opinions regarding the various policies and the characterization of outcome acceptability. Of course, over time, new stakeholders might emerge, current stakeholders might leave, or preferences might change, all of which will affect the valuation of the outcomes. Uncertainty as inadequacy of knowledge has a very long history, dating back at least to the epistemological questions debated among the ancient Greeks. Its modern history begins around 1921, when Knight made a distinction between risk and uncertainty (Knight 1921). According to Knight, risk denotes the calculable (the probability of an event times the loss if the event occurred) and thus controllable part of all that is unknowable. The remainder is the uncertain—incalculable and uncontrollable. Over the years, this definition has been adopted by different authors to make a distinction between decisionmaking under risk and decisionmaking under uncertainty (Luce and Raiffa 1957; Morgan and Henrion 1990). Note that decisionmaking under uncertainty refers not only to the uncertain future state of the world, but also to the uncertainty resulting from the strategic behavior of actors involved in the decisionmaking (Quade 1989). Hence, risk can be treated as one kind of uncertainty—a low level of uncertainty that can be quantified by using losses and probabilities. Probabilities cannot reliably be associated with the remaining uncertainties. That is, uncertainty is a broader concept than risk. With application to decisionmaking, a distinction can be made between two extreme levels of uncertainty (determinism and total ignorance) and four intermediate levels (e.g., Courtney 2001; Walker et al. 2003). Walker et al. (2003) define the four levels with respect to the knowledge assumed about four aspects of a problem: (a) the future state of the world, (b) the model of the relevant system for that future world, (c) the outcomes from the system, and (d) the weights that the various stakeholders will put on the outcomes. The levels of uncertainty are briefly discussed below. Complete certainty is the situation in which we know everything precisely. This is almost never attainable, but acts as a limiting characteristic at one end of the spectrum. 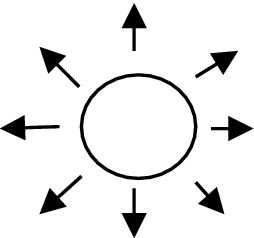 Level 1 uncertainty represents situations in which one admits that one is not absolutely certain, but one does not see the need for, or is not able, to measure the degree of uncertainty in any explicit way (Hillier and Lieberman 2001, p. 43). These are generally situations involving short-term decisions, in which the system of interest is well defined and it is reasonable to assume that historical data can be used as predictors of the future. Level 1 uncertainty, if acknowledged at all, is generally treated through a simple sensitivity analysis of model parameters, where the impacts of small perturbations of model input parameters on the outcomes of a model are assessed. Several services in our life are predictable, based on the past such as mail delivery and garbage collection. These are examples of this level of uncertainty. In the case of Level 2 uncertainties, it is assumed that the system model or its inputs can be described probabilistically, or that there are a few alternative futures that can be predicted well enough (and to which probabilities can be assigned). The system model includes parameters describing the stochastic—or probabilistic—properties of the underlying system. In this case, the model can be used to estimate the probability distributions of the outcomes of interest for these futures. A preferred policy can be chosen based on the outcomes and the associated probabilities of the futures (i.e., based on “expected outcomes” and levels of acceptable risk). 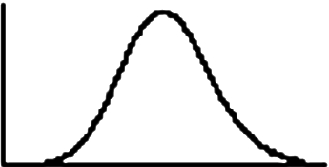 The tools of probability and statistics can be used to solve problems involving Level 2 uncertainties. Deciding on which line to join in a supermarket would be a Level 2 problem. Level 3 uncertainties involve situations in which there are a limited set of plausible futures, system models, outcomes, or weights, and probabilities cannot be assigned to them—so the tools of neither Level 1 nor Level 2 are appropriate. In these cases, traditional scenario analysis is usually used. The core of this approach is that the future can be predicted well enough to identify policies that will produce favorable outcomes in a few specific, plausible future worlds (Schwartz 1996). The future worlds are called scenarios. Analysts use best-estimate models (based on the most up-to-date scientific knowledge) to examine the consequences that would follow from the implementation of each of several possible policies in each scenario. The “best” policy is the one that produces the most favorable outcomes across the scenarios. (Such a policy is called robust.) A scenario does not predict what will happen in the future; rather it is a plausible description of what can happen. The scenario approach assumes that, although the likelihood of the future worlds is unknown, the range of plausible futures can be specified well enough to identify a (static) policy that will produce acceptable outcomes in most of them. Leaving an umbrella in the trunk of your car in case of rain is an approach to addressing Level 3 uncertainty. Level 4 uncertainty represents the deepest level of recognized uncertainty. A distinction can be made between situations in which we are still able (or assume) to bound the future around many plausible futures (4a) and situations in which we only know that we do not know (4b). 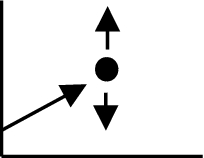 This vacuum can be due to a lack of knowledge or data about the mechanism or functional relationships being studied (4a), but this can also stem from the potential for unpredictable, surprising, events (4b). Taleb (2007) calls these events “black swans.” He defines a black swan event as one that lies outside the realm of regular expectations (i.e., “nothing in the past can convincingly point to its possibility”), carries an extreme impact, and is explainable only after the fact (i.e., through retrospective, not prospective, predictability). In these situations, analysts either struggle to (Level 4a) or cannot (Level 4b) specify the appropriate models to describe interactions among the system’s variables, select the probability distributions to represent uncertainty about key parameters in the models, and/or value the desirability of alternative outcomes. Total ignorance is the other extreme from determinism on the scale of uncertainty; it acts as a limiting characteristic at the other end of the spectrum. Table 1.1 provides a representation of the four intermediate levels of uncertainty for the four locations (X, R, O, and W). Most of the traditional applied scientific work in the engineering, social, and natural sciences assumes that uncertainties result either from a lack of information (i.e., assumes that uncertainties associated with a problem are of Level 1 or 2), which leads to an emphasis on uncertainty reduction through ever-increasing information seeking and processing, or from random variation, which concentrates efforts on stochastic processes and statistical analysis. The approach to deal with Level 3 uncertainties assumes that a few future worlds can be specified well enough to determine robust policies that will produce favorable outcomes in most of them. These future worlds are described by means of scenarios. The best policy is the policy that produces the most desirable outcomes across the range of scenarios, minimizes the maximum possible regret across the range of scenarios, etc. Although this approach has been successful in the past, the problem is that if the range of assumptions about the future turns out to be wrong, the negative consequences might be large. Also, research points out that scenarios, in general, have rarely been used to address discontinuities in future developments; there has been a natural tendency for scenarios to stay close to evolutionary (discontinuity-averse) business-as-usual situations (van Notten et al. 2005). However, the important problems faced by decisionmakers are often characterized by a higher level of uncertainty (Level 4a and 4b) that cannot be sufficiently reduced by gathering more information. The uncertainties are unknowable at the present time. Uncertainty permeates some or all aspects of the problem: the external developments, the appropriate (future) system model, the model outcomes, and the valuation of the outcomes by (future) stakeholders. As mentioned at the beginning of this chapter, such situations are defined as decisionmaking under deep uncertainty. As individuals, we confront and navigate, more or less successfully, a world filled with many uncertainties. Some characteristic decisions are even classifiable as ones framed by deep uncertainties, e.g., whom to marry; what profession to select; where to live; what jobs to seek. As individuals, the decisionmaking becomes more prone to anxiety as the number of variables increases, thus overwhelming innate abilities to think through the combinatorics of potential influences and outcomes. But in the public sector, or for decisionmaking within organizations, the number of actors further increases the practical difficulty of addressing such problems. Hierarchies made up of intelligent, dedicated, and well-disposed individuals may yield collectively poor decisions, because existing mechanisms do not provide appropriate responses in the presence of deep uncertainty. Integral to DMDU approaches is the use of analytic methods for decision support. 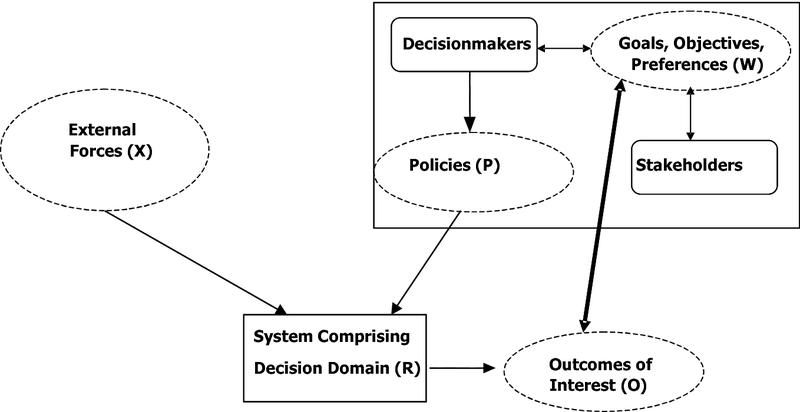 Using a common definition from the US National Research Council (2009), decision support represents a “set of processes intended to create the conditions for the production and appropriate use of decision-relevant information.” Among its key tenets, decision support emphasizes: (1) that the way in which information is integrated into decisionmaking processes often proves as important as the information products themselves, (2) the coproduction of knowledge among information users and producers, and (3) the need to design the decision process to facilitate learning. New approaches for decisionmaking under conditions of deep uncertainty are needed because the approaches used for Level 1, Level 2, and Level 3 are rendered inadequate under these conditions (Lempert et al. 2003). Or as Quade (1989, p. 160) phrased this: “Stochastic uncertainties are therefore among the least of our worries; their effects are swamped by uncertainties about the state of the world and human factors for which we know absolutely nothing about probability distributions and little more about the possible outcomes.” Goodwin and Wright (2010, p. 355) demonstrate that “all the extant forecasting methods—including the use of expert judgment, statistical forecasting, Delphi and prediction markets—contain fundamental weaknesses.” And Popper et al. (2009, p. 50) state that the traditional methods “all founder on the same shoals: an inability to grapple with the long-term’s multiplicity of plausible futures.” Traditionally, the past has been seen as a reasonably reliable predictor of the future. Such an assumption works well when change is slow and system elements are not too tightly connected. It also works well when there are not too many Black Swans coming toward us. In fact, assuming that the future will be fairly closely related to the past is the basis of classical statistics and probability and the foundation for the way we live our lives. However, if this assumption is not a valid one, plans based on it may lead to very undesirable outcomes. DMDU approaches provide many benefits, but also impose costs. As shown in Fig. 1.3, the benefits are likely to exceed the costs when three conditions are met. Most clearly, these approaches are more useful the more the contextual uncertainties (X) are deep, rather than well characterized. In addition, DMDU approaches are more useful when the set of policies (P) has more rather than fewer degrees of freedom. When uncertainties are well characterized and/or few degrees of decision freedom exist, DMDU approaches yield few benefits over traditional predict-then-act approaches. The third condition, system complexity (R), is a heuristic for how well experts do know and/or disagree on the proper models, probabilities, and/or system outcomes. When expert intuition is sufficient to link the policies to the relevant outcomes, then scenario planning may suffice. But when the future world, the system, and/or the outcomes have the potential to surprise, a full DMDU analysis may prove valuable. of deep uncertainty requires a paradigm that is not based on predictions of the future (known in the literature as the “predict-then-act” paradigm), but that aims to prepare and adapt (in order to prepare for uncertain events) by monitoring how the future evolves and allowing adaptations over time as knowledge is gained (in order to implement long-term strategies). The “monitor and adapt” paradigm explicitly recognizes the deep uncertainty surrounding decisionmaking for uncertain events and long-term developments and emphasizes the need to take this deep uncertainty into account. Several books have been written in the past that deal with different aspects of decisionmaking under uncertainty (e.g., Morgan and Henrion 1990; Bedford and Cooke 2001; Lourenco et al. 2014). But, there are practically none that deal with decisionmaking under deep uncertainty, although Lempert et al. (2003) do. In recent years, however, there has been an increasing amount of research devoted to this topic. Some of this research focuses on theoretical approaches and tools for supporting the design of long-term policies or strategies; other research focuses on testing these new approaches and tools in practice (i.e., in the “real world”). With respect to the theory, new analytical tools (e.g., exploratory modeling, scenario discovery) and approaches (e.g., adaptive approaches) have been developed for handling deep uncertainty. And experimentation and application of these tools and approaches in the real world have begun. Up until now, there is no textbook providing a unified and comprehensive treatment of the approaches and tools for designing policies and strategies under deep uncertainty and their application. Drawing insights for improving the tools and approaches, and lessons for practitioners using these tools and approaches. 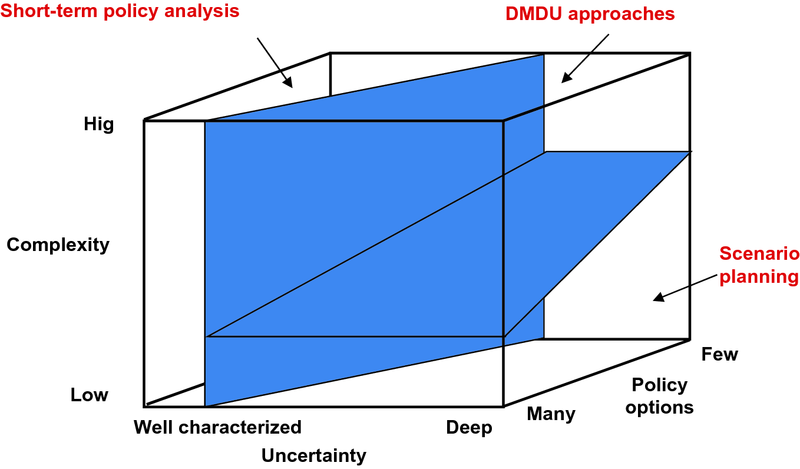 Recent years have seen many approaches for decisionmaking under deep uncertainty (DMDU). This section presents a generic set of elements across the approaches presented in the book. Each element includes several steps. Since the application of a DMDU approach is often recursive, involving cycling through iterative loops, there is no strict order in the elements and steps. Moreover, the different DMDU approaches each have their specific focus, which means that not all elements or steps are addressed in all approaches or receive the same emphasis. Formulate triggering issue (problem or opportunity): This step sets the boundaries for all that follows. It involves examination of the questions or issues involved, establishing the context within which the issues are to be analyzed and the policies will have to function, clarifying constraints on possible actions, identifying the people/organizations that will be involved in making the policy decision, the people who will be affected by the policy decision, and deciding on the analytical approach to be followed. It establishes the trajectory for all that is to follow. Specify system and its boundaries: Different policy actors are able to make changes affecting a (very small) part of the world. The boundaries of this part of the world determine what is inside the “system of interest” and what is outside. A system model (or models) will be designed, built, and used in the remainder of the steps to examine policy alternatives and identify a preferred policy. Within the world of DMDU, a model is intended to be used not as a prediction tool, but as an engine for generating and examining possible futures (i.e., as an exploration tool). Therefore, a process of iterative analysis, rather than an ex ante presumption of necessary modeling detail, determines what modeling may be required to inform the decisions surrounding the triggering issue as fully as possible. Specify objectives/goals and outcome indicators: The decisionmakers and other stakeholders (the actors in the policy domain) have certain objectives that, if met, would resolve the issue. In this step, the policy objectives or goals are identified. This step also involves identifying policy outcomes directly related to the objectives that can be estimated (qualitatively, or quantitatively using measurable outcome indicators). We are not interested in predicting outcomes, but rather in making better informed choices among alternative policies. 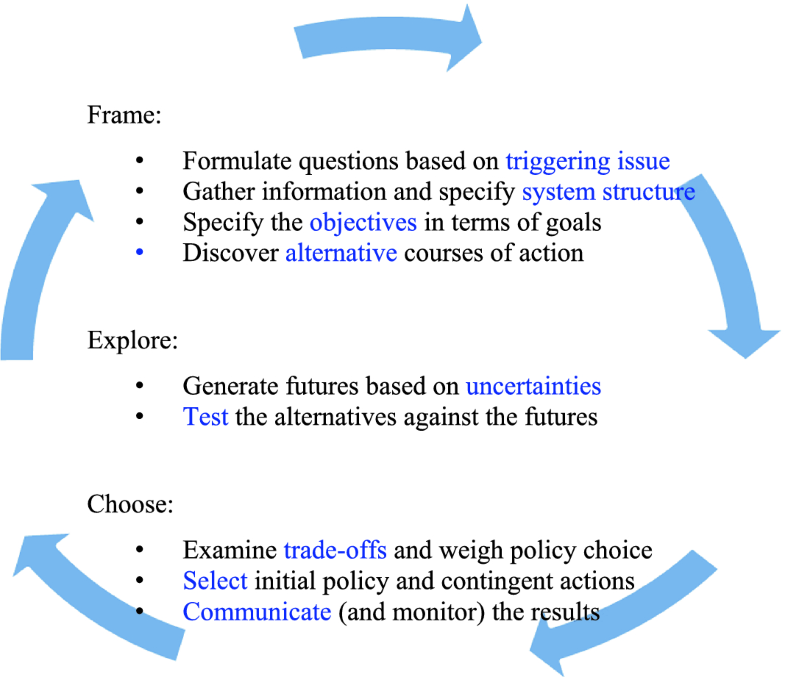 Identify alternative policies (strategies, plans, courses of action): This step specifies the policies whose outcomes are to be assessed using the system model. In the remainder of the steps, we are interested in understanding the nature of the policies better, discovering additional policies, modifying or combining the policies, possibly arranging them in different timelines, and choosing among them. Specify uncertainties or disagreements about external forces, system structure, outcome indicators, and valuation of outcomes: In terms of the policy analysis framework in Fig. 1.2, one can identify four primary locations of uncertainty that affect the choice of an appropriate policy (see Table 1.1): uncertainty about the external forces (X); uncertainty about the system response to the external forces and/or policy changes (e.g., uncertainty about the structure of the system model and its parameters (R)); uncertainty about the system outcomes (as propagated by uncertainty about external forces and system response (O)); the relative importance of specific outcomes placed by the actors in the policy domain (W). Explore (a) the outcomes of the policies and (b) the vulnerabilities of the policies (and opportunities), given the uncertainties (using, for example, models or expert opinions): This step performs exploratory analysis (often using Exploratory Modeling) to support the process of researching a broad range of assumptions and circumstances. In particular, it involves exploring how a given alternative (A) would perform, in terms of the outcomes (O), under a wide variety of states of the world (X), model structures (R), and alternative value systems (W). The exploration is often carried out using a large number of computational experiments (‘cases’) under a wide variety of assumptions. This step includes “Scenario Discovery” to identify factors (vulnerabilities or opportunities) that would determine the failure or success of the policies under investigation. Illustrate trade-offs detected by analysis and means for future adjustments as events happen and knowledge is gained: Scenario Discovery and other tools are used to inform further iterations of model or policy architecture. A principal goal of this step is to explore the potential for addressing uncertainty through further changes in policy design and sequencing. Select and plan for adoption of an initial policy and mechanisms for future adjustments as events happen and knowledge is gained: Based on the results of earlier steps, a set of initial actions is chosen that should do well given the uncertainties and vulnerabilities. Future contingent actions are also prepared, in order to be ready to respond to uncertain events and developments. Plan for monitoring and making possible adaptations to the policy: In addition to the (initial) policy, a “signpost monitoring system” is defined, which specifies what should be watched to know if the underlying assumptions are still valid that implementation is proceeding well and that any needed policy adjustments are taken in a timely and effective manner. A variety of analytical approaches and tools for decisionmaking under deep uncertainty have been developed. Their underlying paradigm is the need for actions to reduce the vulnerability of a policy or strategy to uncertain future developments. Dewar et al. (1993) called this “Assumption Based Planning” (ABP). Within this paradigm, analysts use “Exploratory Modeling” (EM) and “Scenario Discovery” (SD). EM is a tool to explore a wide variety of scenarios, alternative model structures, and alternative value systems based on computational experiments (Bankes 1993). A computational experiment is a single run with a given model structure and a given parameterization of that structure. It reveals how the real world would behave if the various hypotheses presented by the structure and the parameterization were correct. By exploring a large number of these hypotheses, one can get insights into how the system would behave under a large variety of assumptions (Bankes et al. 2013). SD is a tool to distinguish futures in which proposed strategies meet or miss their goals (Groves & Lempert 2007). It begins with a large database of model runs (e.g., from EM) in which each model run represents the performance of a strategy in one future. The SD algorithms identify those combinations of future conditions that best distinguish the cases in which the policy or strategy does or does not meet its goals (Lempert et al. 2006). Computational decision support tools capable of generating quantitative evidence and insights supporting decisionmaking about different possible courses of action. Robust Decisionmaking (RDM): Robust Decisionmaking (RDM) is a set of concepts, processes, and enabling tools that use computation, not to make better predictions, but to yield better decisions under conditions of deep uncertainty. RDM combines decision analysis, Assumption-Based Planning, scenarios, and Exploratory Modeling to stress test strategies over myriad plausible paths into the future and then to identify policy-relevant scenarios and robust adaptive strategies. RDM analytic tools are often embedded in a decision support process called “deliberation with analysis” that promotes learning and consensus-building among stakeholders (Lempert et al. 2003). Dynamic Adaptive Planning (DAP): DAP focuses on implementation of an initial plan prior to the resolution of all major uncertainties, with the plan being adapted over time based on new knowledge. DAP specifies the development of a monitoring program and responses when specific trigger values are reached. Hence, DAP makes adaptation over time explicit at the outset of plan formulation. DAP occurs in two phases: (1) the design phase, in which the dynamic adaptive plan, monitoring program, and various pre- and post-implementation actions are designed, and (2) the implementation phase, in which the plan and the monitoring program are implemented and contingent actions are taken, if necessary (Walker et al. 2001). Dynamic Adaptive Policy Pathways (DAPP): DAPP considers the timing of actions explicitly in its approach. It produces an overview of alternative routes into the future. The alternative routes are based on Adaptation Tipping Points (ATPs). An ATP focuses on “under what conditions will a given plan fail,” which is analogous to the question that is asked in ABP or in SD (Haasnoot et al. 2013). Info-Gap Decision Theory (IG): An information gap is defined as the disparity between what is known and what needs to be known in order to make a reliable and responsible decision. IG is a non-probabilistic decision theory that seeks to optimize robustness to failure (or opportunity for windfall) under deep uncertainty. It starts with a set of alternative actions and evaluates the actions computationally (using a local robustness model). It can, therefore, be considered as a computational support tool, although it could also be categorized as an approach for robust decisionmaking (Ben-Haim 1999). Engineering Options Analysis (EOA): EOA refers to the process of assigning economic value to technical flexibility. It consists of a set of procedures for calculating the value of an option (i.e., the elements of a system that provide flexibility) and is based on Real Options Analysis (de Neufville and Scholtes 2011). 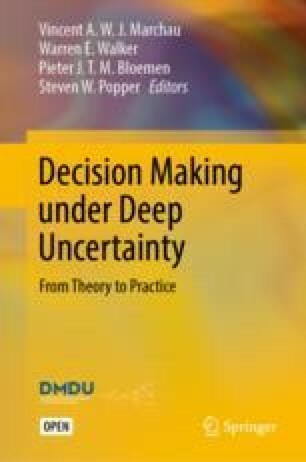 The book elucidates the state of the art in both the theory and practice associated with the tools and approaches for decisionmaking in the face of deep uncertainty. It has been produced under the aegis of the Society for Decision Making under Deep Uncertainty (DMDU). In 2013–2017, the DMDU Society held workshops involving international scholars and practitioners. The material in the book is a synthesis of, and addition to, the material presented at these workshops, which explored approaches and tools supporting the design of strategic plans under deep uncertainty, and their testing in the real world, including barriers and enablers for their use in practice. The book consists of the four parts. Part I presents the five approaches for designing policies and strategies under deep uncertainty, which include RDM, DAP, DAPP, IG, and EOA. Each approach is worked out in terms of its theoretical foundations and methodological steps to follow when using the approach, latest methodological insights, and challenges for improvement. In Part II, applications of each of these approaches are presented. Based on recent case studies, the practical implications of applying each approach are discussed in depth. Part III focuses on using the DMDU approaches and tools in real-world contexts, based on insights from real-world cases. Part III consists of three chapters. The first involves Decision Scaling (DS). DS starts with specifying acceptable system performance according to decisionmakers and stakeholders. The vulnerability of the current or best-estimate plan is then assessed by evaluating the system performance for a variety of uncertain developments (possible futures—up until now, mainly climate change) that might occur over management-relevant timescales (Brown 2010). Possible futures of interest can then be investigated further, and probabilities can be assigned if needed. Hence, DS can be seen as extending RDM by assigning probabilities to possible futures. The second chapter in Part III discusses Planned Adaptation (PA). PA refers to the design of institutions and processes to regularly review and update policies in light of evolving scientific knowledge and changing technological, economic, social, and political conditions. It is adaptive, but also planned, so it refers not only to the ability of policies to respond to events and information as they arise, but also to a conscious plan to undertake data collection and repeated review over time (McCray et al. 2010). The third chapter in Part III describes Adaptive Delta Management (ADM). ADM matches the specific characteristics and context of the Dutch Delta Programme with DMDU approaches and tools. Elements from the DMDU approaches and tools included in Parts I and II of the book are tailored to theme-specific and region-specific needs of the Netherlands. Part IV of the book contains conclusions and a synthesis of the lessons that can be drawn for designing, applying, and implementing policies and strategies for decisionmaking under deep uncertainty, as well as recommendations for future work. The projected traffic growth is still far from being achieved, “In 2017, about 21 million passengers, on all services, have travelled through the Channel Tunnel” http://www.eurotunnelgroup.com/uk/eurotunnel-group/operations/traffic-figures/. Each chapter of this book uses the term for the alternatives that is most appropriate to its content. In this introductory chapter, we use the terms policy, strategy, and plan interchangeably. Clearly, what is external depends on being specific in identifying the decisionmakers. For example, for many decisions, policies of the European Commission would be an external force. This is not the case for analyses in which the European Commission plays the decisionmaking role. Donald Rumsfeld, Department of Defense News Briefing, February 12, 2002. Cook, J., Nuccitelli, D., Green, S. A., Richardson, M., Winkler, B., Painting, R., et al. (2013). 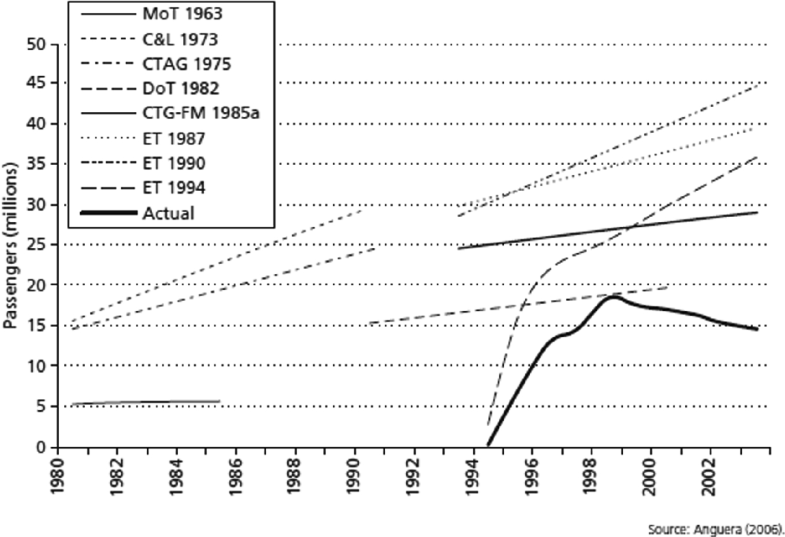 Quantifying the consensus on anthropogenic global warming in the scientific literature. Environmental Research Letters, 8(2). https://doi.org/10.1088/1748-9326/8/2/024024.